On Saturday I witnessed one of the most fascinating theatre performances of our generation. Hamlet, in The Gate Theatre was a ground breaking and visionary production. It had everything. The familiar script, striking set and leading actors with strong personalities, all combined to give us a three and half hour spectacle. It was evident throughout, that an experienced and exciting creative team was behind the process of getting the contemporary concept to the stage in the most famous theatre in the country. There’s a familiar script in parts. It highlights that sport is good and thus more sport is better. If we all play we all win. We are all already acutely aware of these facts, nothing new here. However, thankfully this campaign has added an extra act by uniting National Governing Bodies, Local Sports Partnerships, clubs, universities, schools, leisure centres and community groups in a concerted effort to accelerate progress for women’s sport in Ireland. A disappointing aspect is that only 12 local sports partnerships have signed up. One would hope that as the campaign gains momentum it will also gain support across the country with an increase in sports bodies and partnerships getting on board. The initial setting and marketing campaign to launch 20×20 was simply stunning and definitely had the wow factor. Through the striking imagery of young girls talking about engaging in sport, naming male sport stars, then showing an inability to name any female athletes, we were given a moralistic message to accompany the campaign tagline; ‘If She Can’t See It, She Can’t Be It’. However, one may ask the question as to why a negative tagline was used to try and get the message across as opposed to a positive spin? Can instead of can’t, surely reads and sounds more encouraging and also dismisses any notions of negativity. There was huge national media coverage the week of the launch, all very positive. RTE are also on board as media partners, which will hopefully serve towards achieving the 20% increase in coverage. Social media has already, and will play an important role, as followers are being asked and encouraged to share and show their support across all outlets. As we move from Act 1, can this campaign now be more than just a message, image or sound? It is very clear that it is a marketing campaign devised by marketers. It is obvious that it is professional, well thought out and eye catching. 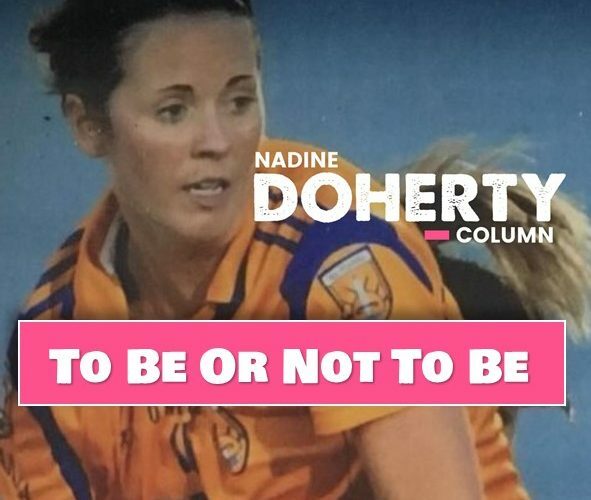 But what happens next now that the initial high profile launch is over and 20×20 begins to fade into the distance for those outside of the female sporting world? There is a strong cohort of people who will push the 20×20 campaign as they do all aspects of female sport. Some are involved in media, or play sport, or are simply fans of women’s sports. They already have a vested interest in promoting women in sport. But it’s those outside of this group that 20×20 are relying upon in order to ensure change is enacted. We know that each body chooses one area to focus on from the three universal aims but at what level of planning do 20×20 engage in with those involved and how much autonomy and agency do the bodies have in relation to what they aim to achieve? We are all aware that a marketing campaign can be a flash in the pan unless strong strategic planning on behalf of everyone involved backs it up. So what are the strategic initiatives are in place to achieve the 20%? 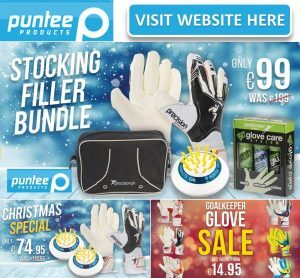 Louise Quinn the Irish Soccer International & Arsenal Footballer, Sarah Rowe Mayo Senior Ladies Footballer and AFL Collingwood footballer, Laura Twomey Dublin Senior Camogie Player, Irish professional golfers Leona Maguire and Stephanie Meadow. What’s impressive about this cast is that its covers a multitude of sports, albeit having two golfers could be argued as being a questionable decision to have made. A name people may have expected to see on the list is that of Joy Neville, a current International Rugby Union referee. Named 2017 World Rugby Referee of the year, surely she is a ready made ambassador who would inspire participation in an area that is possibly going to be the most difficult to recruit in. There are ambassadors who are already very active in the media and have the abilities to gain exposure for the campaign. Hopefully further ambassadors at local and county levels, and in other sports will be added to the collective going forward to perhaps gain some traction and inspire young girls to take up sport of any kind. To reach the aim of 20% increase in attendance the more sports covered and highlighted, the better chance of achieving that figure. Looking at the number of National Governing Bodies supporting 20×20 theres a fantastic opportunity to encourage each one to nominate an ambassador of their own. Taking to the stage at the launch we saw an assembly of household names in sport who any sportsfan would be familiar with, proving that this campaign means business . The lead role, as key note speaker went to Head Coach of Manchester United Women and former England Women’s National Football player, Casey Stoney. 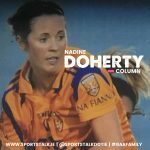 She described how, in her coaching role at present, that “In terms of equality, I have never felt more integrated.” While giving great hope to female inter county coaches here in Ireland, it could be said that one must also feel a sense of bewilderment, as we are a very long way off feeling that way. She was accompanied by the new president of the Olympic Council of Ireland Sarah Keane, the most powerful woman in Irish sport, who has done a fantastic job post Rio 2016 Olympics considering what she inherited from the former male president. Other participats included 18 Time All-Ireland Cork Camogie and Ladies Football winner, Rena Buckley, Irish Women’s Hockey Head Coach Graham Shaw, top Horse Trainer Jessica Harrington and Sport Ireland CEO, John Treacy. This award winning cast is complimented by big hitting sponsors. Three, Lidl, AIG, KPMG and Investec to name but a few. Any production with well known individuals in leading roles generally becomes a success story so lets hope this magnificant cast is added to as the initiative grows. Finally, the most important group of people in this whole process: the Creative Team. 20×20 was the brainchild of Sarah Colgan and Heather Thornton. These women are behind the creative agency Along Came A Spider. Their core beliefs lie in creating ideas with purpose, believing that great content has the ability to trigger social change and challenge the status quo. Even though it is in it’s infancy, they have created something that is already challenging the way people view women’s sport. They strike me as women who must be heavily invested and believe in any brand they endorse. But it takes more than marketers to ensure this campaign is a successful one. Mary O’Connor CEO of the Federation of Irish Sport has worked tirelessly in her role to make 20×20 become a reality. She has brought together sporting bodies and associations that may not have communicated with one another before. If you read the list of NGBs supporting the initiative, you will surprise yourself with the number you probably didn’t even know were in existence. We now await the next steps in the process that the creative team has planned outside of the marketing campaign. It cannot be argued that 20×20 is the most forward thinking campaign we have seen regarding female sports. It aims to change the face of women in sport for good and for the young girls who are the future of sport in this country and abroad. Will it be a success and achieve its aims? This brings me back to Hamlet, yet again – “To be, or not to be-that is the question.” Ruth Negga, a woman, played the lead role of Hamlet on Saturday. Hopefully that is a sign to answer the question.